Recently two young visitors have helped me get my head out of spread-sheet jail and given me a big boost of enthusiasm. 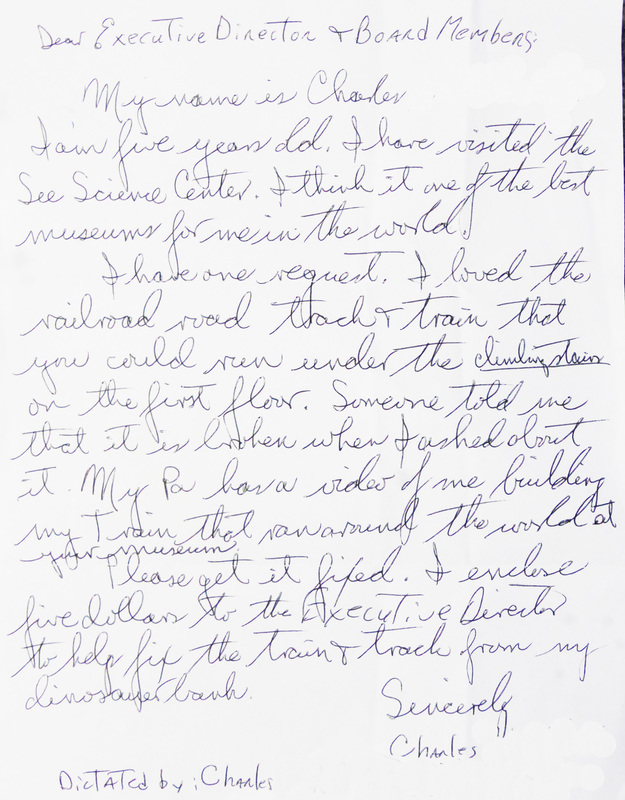 Charles, who is 5, wrote a letter to me (dictated to his grandfather, read it below). He found SEE “one of the best museums for me in the world”. But he also expressed how he missed our Thomas the Train set in our Science for Early Explorers area. He said: “Fix it!” But he did not leave it there. 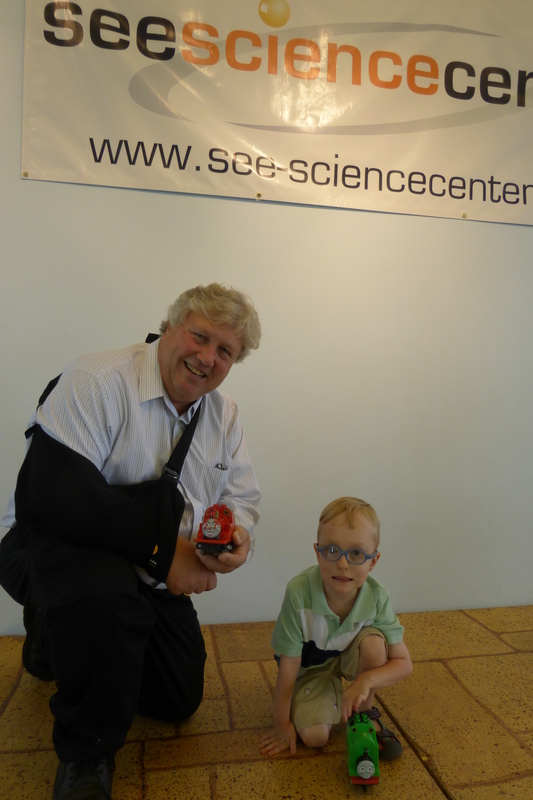 He took $5 from his dinosaur bank and made a donation to the SEE Science Center to make that happen. I was thrilled to see that someone of such a young age realized that funds were needed for such an endeavor. And indeed, we would like to bring back the Thomas the Train set so that our youngest visitors can work on engineering his or her own railroad. So Join Charles and me in our efforts to bring back the train! Donate here. The second impressive young visitor is Seth. 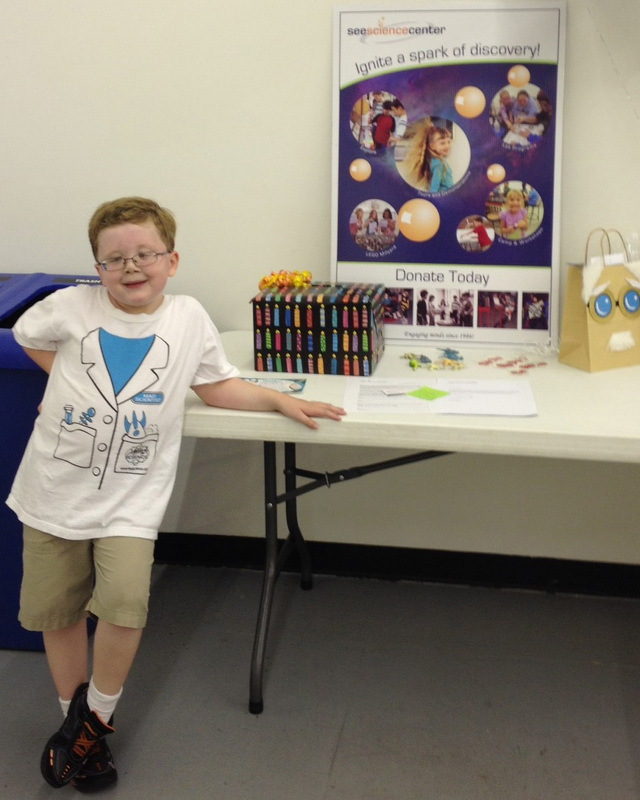 Seth and his friends and family celebrated his 7th birthday at the SEE Science Center last weekend. Seth loves science! 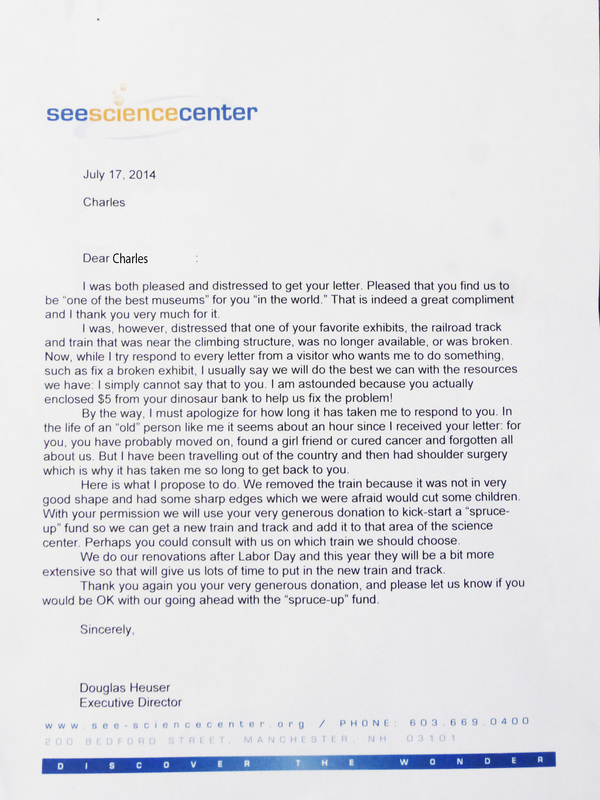 So much so that he asked his guests to donate to the SEE Science Center instead of giving him gifts at his party. As a small non-profit, these small gestures are really treasured. So no, we don’t have millions of people all over the world dumping ice on their heads for us, but we do have two small donors who to us, make a world of difference. Douglas and Charles meet about replacing the trains. By seesciencecenter in Uncategorized on August 26, 2014 .